Fresh off of a Decorate This, Not That book tour, I was itching to make some design tweaks to my petite, master bedroom even though it had been styled for the book. Some may call it a compulsion to add, edit and redo a finished space, but for me design is a vital form of therapy. You get into a meditative state working with your hands, and it calms the mind. With every tweak, cost is always a consideration, and whether or not I can incorporate materials already on hand. Luckily, there is a surplus of burlap on my fabric shelf. 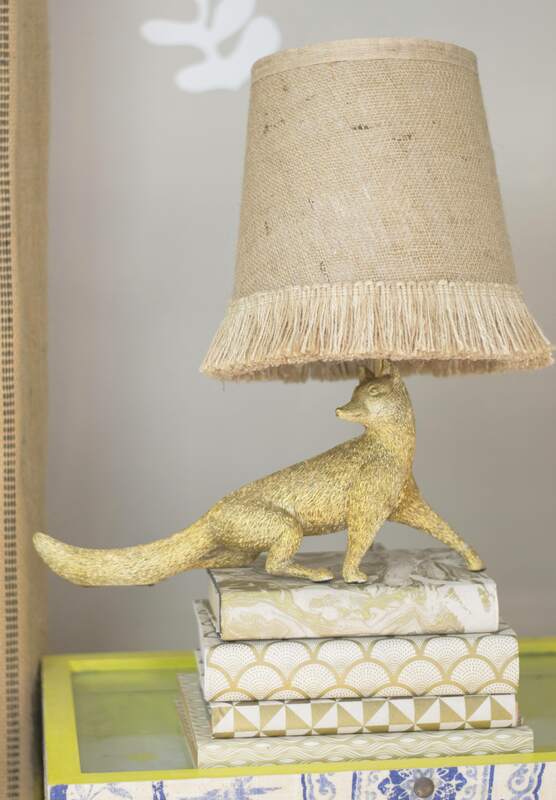 Be sure and check out more burlap DIY projects here. 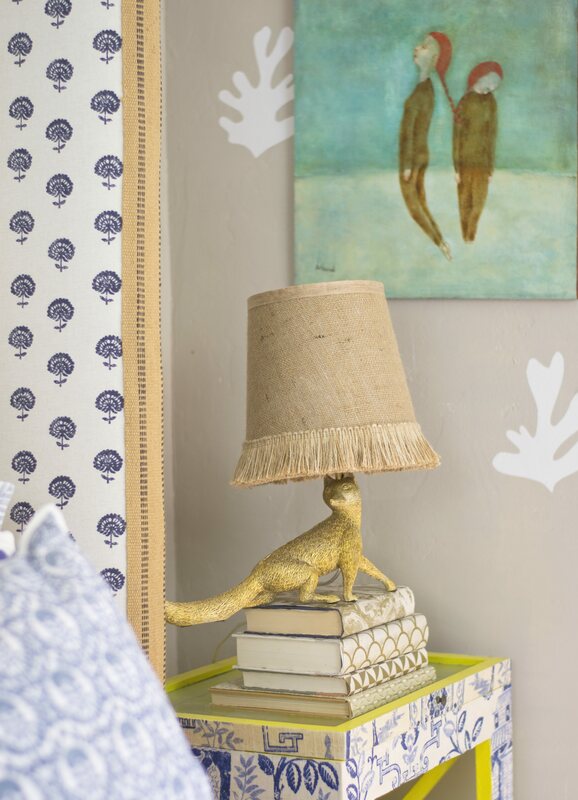 In the book, Decorate This, Not That, lampshades in the bedroom were originally covered with pretty, yellow gift wrapping paper. But, I recently bought sisal-burlap trim for a bargain at a local Tuesday Morning store and decided to redo the shades in burlap to match. Tuesday Morning has become a surprisingly good source for trim, tassels and better craft supplies. Lay the burlap out on a flat surface. 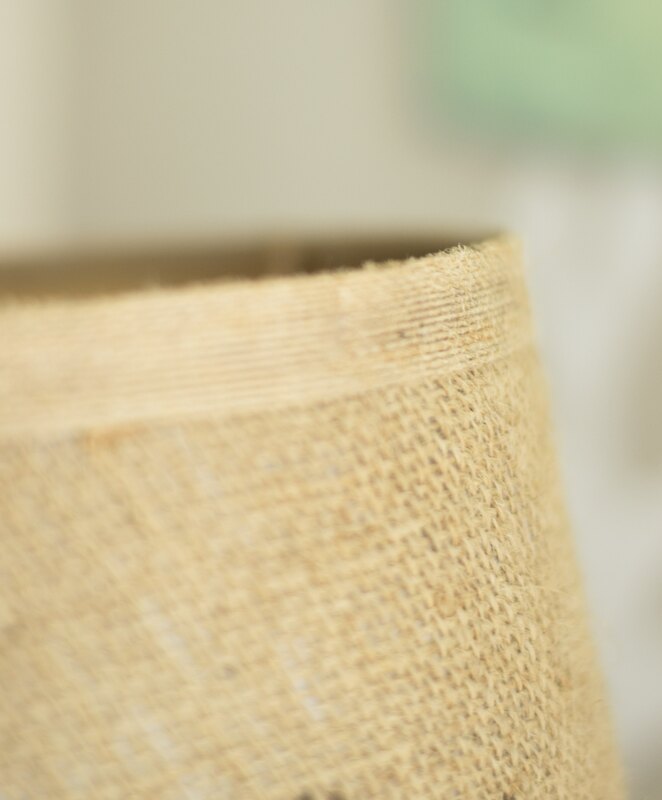 Roll the lampshade over the fabric and with a pencil, mark along the top and bottom of the shade until you make a full rotation around. Cut out burlap leaving a little extra salvage at the top and bottom. You will trim the excess later. 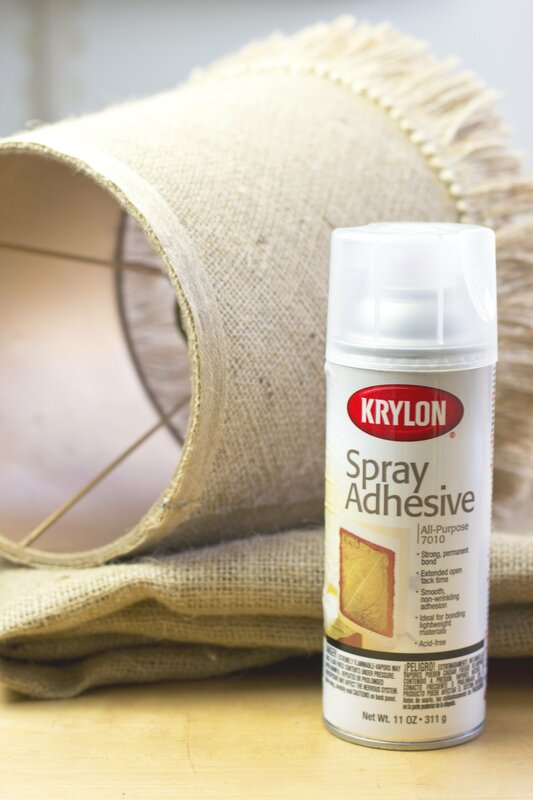 Cover the front of the lampshade with a light layer of spray adhesive. Next, drape the burlap over the adhesive, smoothing out wrinkles as you go. The adhesive is pretty forgiving. You will have time to reposition the fabric if need be. Once the fabric covers the entire front of shade, fold under the raw edge of the side seam and use a dap of fabric glue to keep it secure. Trim all of the raw edges of the fabric along the top and bottom of the shade. 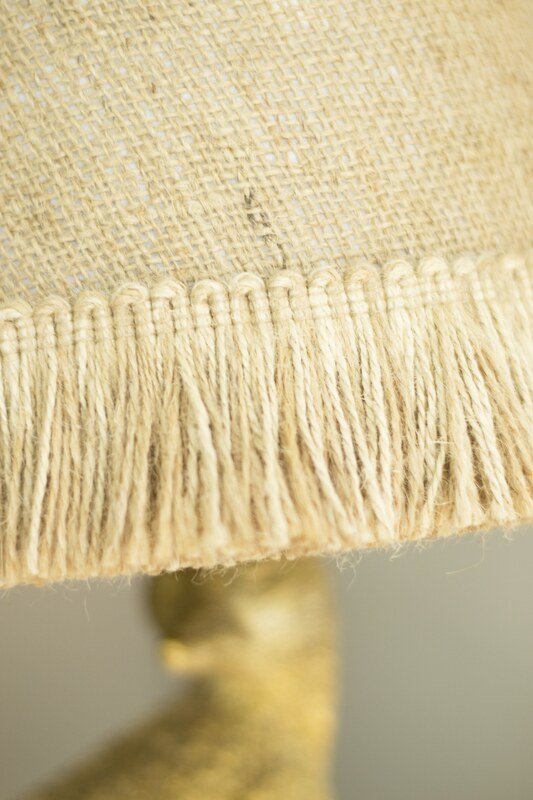 Glue the burlap fringe to the bottom of the shade (about 1/2″ above the bottom edge) and finish off the top with a narrow burlap ribbon. 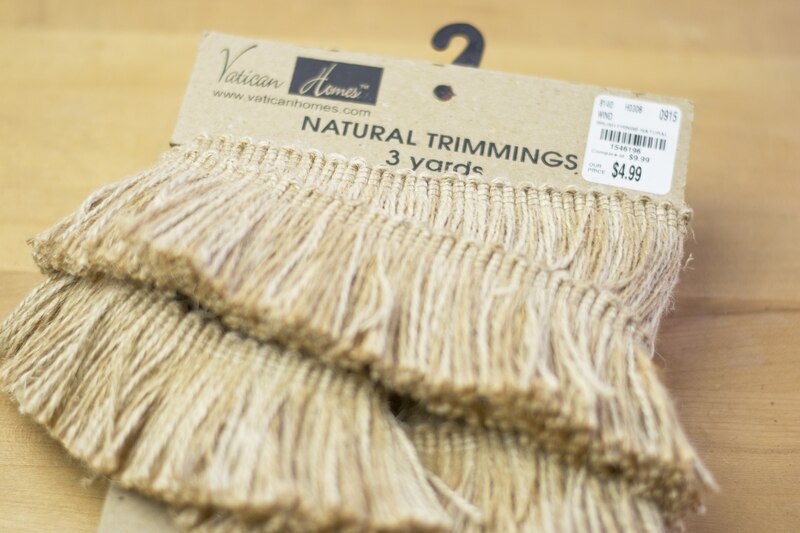 The trim will hide any of the uneven raw edges of the burlap and will keep it from fraying. Nutshell Tip: Use wooden clothespins to hold trim in place while the glue dries.